The Office of Foreign Assets Control (OFAC) has many tools available to control the assets of foreign-born persons or foreign countries whose policies or activities threaten U.S. interests. Entities that engage with off-shore business enterprises should ensure that their partners are not included on any of the OFAC sanctions lists and that their activities are always in compliance with OFAC standards and practices. Depending on the offense and the offender, the OFAC can levy penalties in the form of comprehensive sanctions, selective sanctions, blocks on foreign-owned assets, and trade or economic embargoes. Because a specific decree or law (or group of laws) authorizes each individual penalty and addresses the specific egregious action that prompted the sanction in the first place, no two penalties are alike. People who want to know exactly why the United States levied such a penalty on a particular person, group or country must access the specific rule that created it. For example, several persons are under U.S. sanctions for their activities in the conflicts occurring in the Central African Republic. 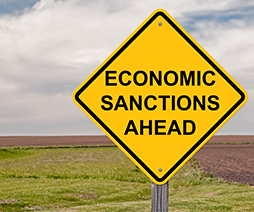 The controlling documents for those sanctions include one executive order, two federal statutes, one entry in the Code of Federal Regulations and one rule in the Federal Register. Other countries experiencing U.S. sanctions include Myanmar, North Korea, Syria, and Venezuela, among others. The OFAC requires that all permanent residents and American citizens abide by all effective sanctions and embargoes and not do business or engage with entities that are subject to those penalties. People who do business overseas or with foreign nationals can track both countries and persons affected by OFAC oversight to ensure they stay clear of those danger zones. If or when they believe they may have encountered an embargoed person or group, Americans can check names and transaction types against OFAC lists that are constantly updated. Companies that routinely do business with foreign nationals or in foreign countries should consider launching an OFAC compliance program. Alternatively, some enterprises will be granted a license to do business with a sanctioned entity under the right circumstances. Penalties for violating OFAC rules or U.S.-imposed sanctions include civil penalties and fines (sometimes in the hundreds of thousands or millions of dollars) as well as criminal charges when circumstances warrant. Entities that determine they have inadvertently violated any OFAC-related rule can disclose that information to the OFAC directly. While self-reporting mitigates the severity of the case, any violation of an OFAC-related action can threaten the safety of the U.S. and is treated accordingly.